Oscar Pistorius was up once late on a Valentine’s Eve. Reeva Steenkamp, his Boo, in his bed was sleeping soundly. Oscar walked on his stumps, turned off the fan closed the curtains and the balcony doors most roundly. He grabs his gun most heroic and , needing no shoes, follows the intruder noise most stoic. The upstairs bathroom window cracked open wide. Oscar worried an intruder was inside. He heard a noise inside the John, he had no time to put his legs on. He fired some rounds right throught the door, his terrible error would soon cause quite an uproar. For the anguished screams he heard inside the Loo, sounded very much like his precious Boo. Breaking the door down with a bat, there in the back his bloody victim sat. Screaming in anguish and wanting to hurl, he clomped over to her body and he yelled like a girl. She was clinging to life, but she’d have to wait, for Oscar to put his legs on to rescue his date. So he placed her on the floor. He’s sorry, and he won’t do that no more. 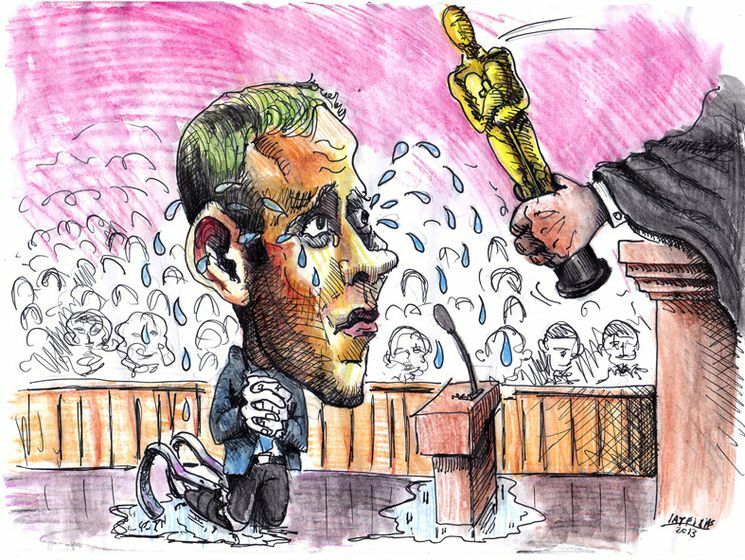 Oscar says his trauma has shaken him to the core. He’s a famous athlete, and so it seems, he’ll be forgiven, even pardoned by the Queen. When you barf in the bucket, then go clubbing and say “fuckit”, that’s amore. When you’re chucked in the slam, with 12 mean sons of Sam, that’s amore. The famous model was inconsolorious. The Olympic runner was awfully pistorius. Oscar spoiled the mood and his options weren’t so various. Oscar was none too pleased, in a rage he did something to Reeva quite unforgiveorius. Reeva packed her things, screamed, ran into the toilet and locked the doorius. She took her phone. She wanted to call a friend or maybe the cops in Pretorius. Oscar was uproarius, he grabbed his gun from under the bed, never looking for his Valentorius. Not wearing his prosthetics, he charged across the floorius. Oscar approached and fired four shots throught the locked toilet doorius, he claims he never heard a single soundorius. 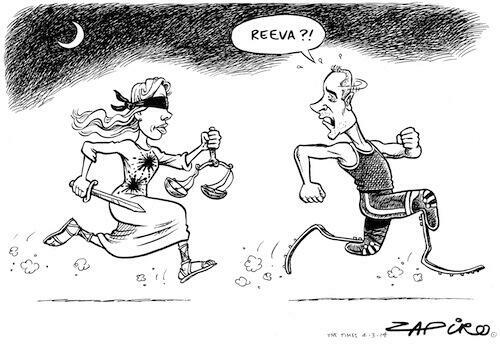 With the cricket batted door down, Reeva was fatally wounded and bloody on the floorius. The scene was rather goreius. Oscar thought “My God, what have I done? I better think up a really good storius. He can walk on his stumps, no problemorius.